In my experience, ENTPs are master improvisers. Many of them seem to somehow always find a way to scrape by with minimal effort invested. They can think of the most efficient way to do anything and always know how to get things done “easy”. They’re interested in everything but never commit to anything, and here’s their core character flaw: they never aim high enough. Today, we’re going to fix that about you. 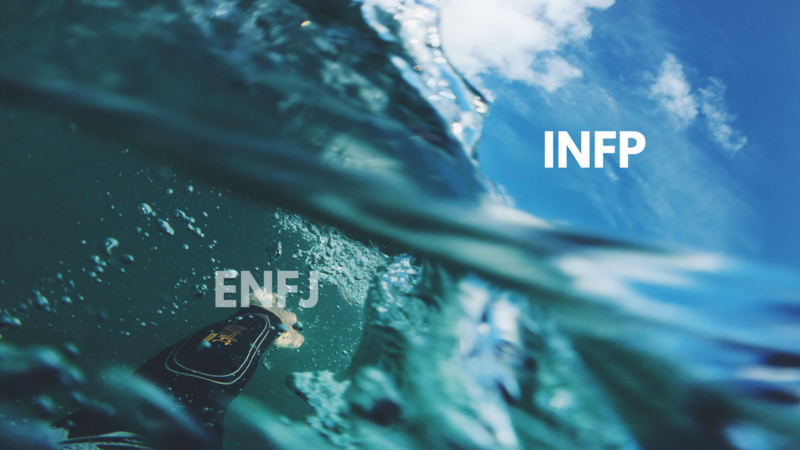 Because of this, I believe all ENTPs should seek to set the INTJ Personality Type as their primary ideal and higher example. The INTJ is an interesting archetype to learn about and to seek to master and embody as your own. The INTJs possess all the abilities to plan and structure an idea but show zero ability to adapt and implement their ideas in reality. They have absolute confidence in their ability to come up with a strategy. But INTJs begin with zero confidence in their ability to achieve any of their ideas in the real world. As an ENTP, you’ll find the INTJ to be your number one most inspiring example to strive towards. INTJs always aim too high, and you never aim high enough. It’s frustrating to see ENTPs low-ball every single idea. They always pick the easiest route. And while this will get the job done fast, it’ll often diminish the value of the actual work done. Often, it’s not in completing an assignment quickly that you get any value or worth from the task. But it’s in everything you learn in the process to completing your idea. So what I’ve found is, because ENTPs are not introverts, and are not judging types, the longer an idea takes to execute, the less confidence they have that they will be able to achieve it. Anything that requires patience, and anything that requires patience, persistence, and time will scare this type shitless. Many ENTPs falsely believe they lack discipline, and that they “just don’t care enough” to achieve anything great. In reality, ENTPs love a good challenge, and want to be pushed, and love when they can really sit down and focus on something. The problem, what keeps them from doing this, is their fear of failure. Now, many ENTPs will mask this fear of failure by pretending to be careless. They’ll pretend, by acting like they are not the slightest bit tempted. They’ll put on a mask of confidence, crack a good joke to show how little they care about the situation. Now, that’s all just a distraction. It’s true that they don’t necessarily care about the task in itself or the value of doing something. They don’t need to look good for anyone and don’t really care about what anyone thinks. They’ll be absolutely fine slouching through life doing small, half assed jobs and jumping from thing to thing. But let’s be real, life is not just about feeling fine, and just as I’d be absolutely fine sitting in a cave the rest of my life reading books, we all want something more. If you get an idea to publish a 20 page short story, decide it will be 40 pages instead. If you think you can have a report done in just an hour, decide to sit down with it half an hour extra just to see if there’s anything else you can do with it. And if you can pick between a project that takes one day to achieve, and one that takes a week… Take the one that takes a week. Here’s another counter intuitive rule for you: set rules and come up with some obstacles for yourself that you need to “conquer”. If you’re a musician and you’ve decided to write a song… Decide that the song has to follow a certain format and needs to include certain words or instruments. Rules help challenge you and keep you motivated where no rules would make it so easy for you, you’d be bored within a matter of minutes. And if you often decide to sit down and work on a task. Turn off your goddamn phone, throw it out of the window if you have to, and decide to cut off some distractions from your life. One extroverted intuitive writer admitted he had his editor lock him in a hotel room. He had his editor barricade the door until he came out with a published manuscript. Find ways to make it impossible for yourself to procrastinate. All this advice is easier for you if you have an INTJ role model or a friend or partner that can help support you. If you’ve got an INTJ teacher or mentor in your life, rely on their strategies to push you. If you don’t know any INTJs, you can rely on external toolsets, mindmaps, and other ticks to keep you organised and challenged. Try the book “Ten Rules” by Jordan Peterson for a push, or listen to some motivational videos by Steve Jobs. There’s tons of tricks you can use, and even if they only nudge you just a little bit, that little bit will be better than nothing. ENTPs are and can be awesome for their ingenuity and wit. Their ability to improvise and solve problems quickly and efficiently. But I think we can all agree they can be a lot more. Most people who dislike this type dislike them just as they would dislike a half finished, but promising painting. If somebody has a great idea, but only manages to execute it decently, that’s ultimately disappointing. Share this article if you know an ENTP that should read this, and become a Patreon at patreon.com/erikthor if you want any more advice on ENTPs and relationships with ENTPs.